← Will NFC lead to the cashless society? I was totally bemused by all the fury in the press last week surrounding the BlackBerry server outage. In many people’s eyes it was a travesty of the worst kind, the final nail in BlackBerry’s coffin and a clear reason to switch allegiance. While BlackBerry users certainly had reason to complain, I would argue that this was simply a minor inconvenience rather than the end of days reported. It’s a small price to pay for the levels of reliability and security that RIM has provided since they launched BlackBerry in 1999 – and it can only get better. If you look back over RIM’s history, the numbers of significant technical outages, like that witnessed last week, have been very few and far between. In fact it is a stunning achievement for any company to reliably support around 70 million users from every corner of the world as they browse, send messages and email, day in day out, with such performance and corporate levels of security. It is a testament to their reliability that it took a major outage to remind us all just how much we depend on our BlackBerry and the services RIM provide each and every day. 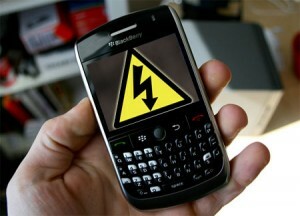 If anything the recent outage will make RIM stronger as they build in further protection to ensure there are no repeats of this outage in the future – it’s another weakness removed, something that less tried and tested systems cannot claim. The reason we have not seen similar issues with other phones is because few handset manufacturers have traditionally been so technically involved with all their customers browsing, messaging and email activities. From the beginning RIM uniquely chose a unified, real-time, cloud-like approach for device connectivity, which means that all data is routed through their own array of servers hosted in locations around the world. This is a decision that has enabled most of the major technical advantages they are famous for, such as push email, BlackBerry Messenger (BBM), security and corporate systems. Similar capabilities have since found there way into other mobile platforms, including those from Apple and Google, take iMessenger for example. As a result, I predict it will only be a matter of time before we see similar outages on other phones as their new cloud services get interrupted by unforeseen system failure. Whether I was an existing BlackBerry user or someone simply looking for my next new phone, I would actually view this recent BlackBerry outage and the speed at which RIM responded as a positive sign. The best companies recover from problems of this magnitude stronger and wiser. Assessed over any reasonable period of time, the one thing RIM doesn’t have problems with is reliability or security. With BlackBerry DevCon taking place this week all eyes are on Mike Lazaridis and Jim Balsillie to tell us their strategy for assuring analysts and the industry that BlackBerry products will continue to innovate around usability and software support. This entry was posted in BlackBerry, RIM and tagged RIM. Bookmark the permalink.